Welcome to the PracticeHabits.co community! My name is Chris Owenby, your helpful music teacher professional. I’m a composer and piano teacher among other things, including my greatest passion – being the best husband I can be to my lovely wife and the best father I can be to our two beautiful little girls. Pouring into others is a wonderful thing! Wouldn’t you agree? Sometimes it worked, but most of the time it didn’t. My students didn’t really practice. I began to see improvements in my student’s preparation level! I had to find the music that my students connected with. I had to inspire them by changing things up – by enchanting them and engaging them in different ways. This was the secret sauce! Students really respond to music and resources that inspire them. So that’s what my team and I do. We create helpful resources in the form of original piano music, exercises, practice guides, and much more! What are you struggling with in your private lessons? What kinds of practice resources would aid you in your lesson preparation? Are their particular styles of music that would spark creativity and passion in your students? We want to hear about it. We’re here to serve you. I so look forward to getting to know you and learning all about the important work you’re doing. PS. If you’re ready to inspire MORE student practice and surround yourself with like-minded piano teachers and excellent resources, then you should join the Membership Community. Click here to learn more. His music has enjoyed performances by the Goliard ensemble, the Northwestern College Choir, the DeKalb Choral Guild, the Flint River Trio, the Terminus New Music Ensemble, the Brass Standard, the LaGrange College Singers, the Sons of Lafayette, and members of the Columbus, Atlanta, and LaGrange Symphony Orchestras. 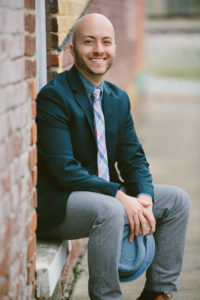 His music has received recognition and awards from the College Music Society (2010, 2011, and 2012 Southern Regional), Vox Reflexa’s New Millenium Composer’s Forum CD Project, and the Dekalb Choral Guild’s 2009 Young Composer’s Competition. His published works include Could It Be (Emerson Music), O Magnum Mysterium, Our True Savior, and Supernova (Imagine Music Publishing). Chris serves as Composer-In-Residence for the Georgia Festival Chorus. He is the owner and founder of PracticeHabits.co and The Artful Composer. His choral music, instrumental music, and songs have aired on National Public Radio, the Immanuel Broadcasting Network, White Dove Radio, and Bigloo Christian Radio among other stations.